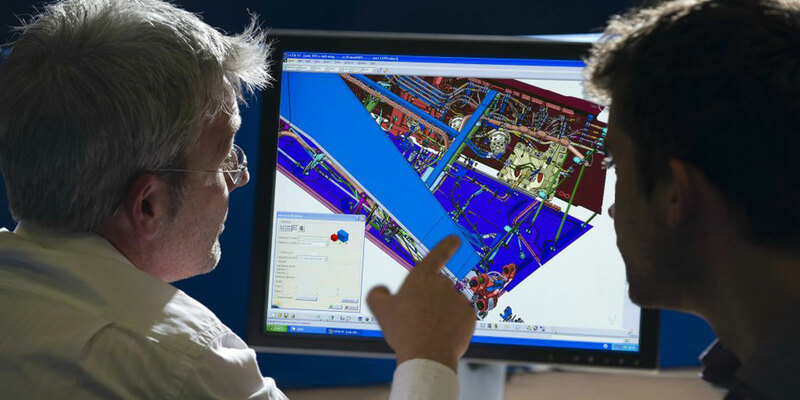 Adapting to designing specifically for additive manufacturing is high on GKN’s priority list. With a lengthy battle over its ownership now settled, GKN Aerospace (Chalet G1) arrives at Farnborough with its strategic direction firmly in place. According to the company’s CEO, Hans Büthker, new owner Melrose Industries is “committed to the blueprint” put in place before the takeover went through. That standalone business has a sales split, by discipline, of 49 percent in aerostructures (worth £1.8 billion/$2.4 billion in 2017), 37 percent in engine systems (worth £1.3 billion last year), and special technologies accounting for 14 percent (£500 million). “We’ve gone from £680 million in sales in 2006 to £3.46 billion in 2017,” observed Büthker, who noted that the growth has been aided by judicious acquisitions such as Volvo Aero and Fokker. The split by market is currently 72 percent commercial to 28 percent defense. “Our clients’ book-to-bill ratios surprised us in 2017. It was an extremely good year for our key customers,” Büthker said. He added that the company is prepared for the production increases those customers are proposing, especially for single-aisle aircraft. The strong year in 2017 for GKN Aerospace’s customers has helped it to expand its global footprint, particularly in Asia. The latest investment in Asia, announced here at Farnborough, will be a new aero engine component repair and research facility in Johor state, Malaysia. The development is being supported by the Malaysia Investment Development Authority (MIDA), which played a key role in the choice of location for the center. The new facility, which is scheduled to open in 2019, will service fan blades and disks from commercial aero engines. The research capabilities also being planned will be used to develop new technologies and apply them to the MRO product offerings. The center will open with a staff of 150 people, eventually growing to a full complement of 300. Naturally, investment in research and technology continues, particularly in the field of advanced composites, as Russ Dunn, senior vice president, engineering and technology, explained: “We’re looking to see how far we can push these in the future, both in engines and airframes. “In dry-fiber handling and infusion, we’re now partnered on a program with Airbus with new deposition techniques specifically focused on the next generation of spars for a high-rate product,” reported Dunn. “In that program, we’re looking to combine how to use, even better, the advantages that composites give us from a strength point-of-view, and how we do it at a really high rate and quality. “One area where I think we can clearly say we are the world leader is in large-scale deposition,” Dunn continued. “A good example is the fan-case mount ring, which will be on display at the show,” he told AIN. “Look at the scale of this and it blows away anything else. The process used for this significantly reduces the cost of manufacturing. Traditionally you would have taken a large block of material and formed it with enormous presses. Then you’d machine 90 percent of the material away. “With additive manufacturing, you’d take a thin sheet and you’d deposit almost all of the material. We’ve taken that all the way through to TRL [Technology Readiness Level] 6 and we are now at production standard,” Dunn confirmed. Coating technology is another of GKN Aerospace’s capabilities benefitting from major investment. The company is currently flight testing a hydrophobic coating for cockpit windows on two different vehicles, one with a customer and one with an airline directly. The coating sheds rain whether on the ground or in the air and could make aircraft windshield wipers obsolete, the company believes. “The water runs off windscreen very quickly and it also prevents the build-up of ice,” Dunn explained. “We’ve done erosion tests and it beats any other material.” The removal of wipers would, of course, reduce aircraft weight and also remove the possibility of damage from material embedded in the wipers. Dunn added that when combined with other technologies—such as the electrically powered thermal anti-icing system, as featured on the 787—it could reduce the need for de-icing. “The coating aims to eliminate ice, but if some occurs, the sensors detect not just ice, but the type of ice, and the anti-ice system is employed. This could significantly reduce the power being used, as most times pilots keep the anti-icing system running when they are in icing conditions,” he explained. He also said that the coating, which is a ceramic material, may also provide significant benefits if applied to metals and composites. “For example, it could aid laminar flow properties on wings and major structures such as the empennage," all of which will help to reduce the overall operating cost of the aircraft.